Preppy Pink Crocodile: What's Cookin' Good Lookin'? The name alone is worth making these. I was just hankerin' for some Mexican food too. 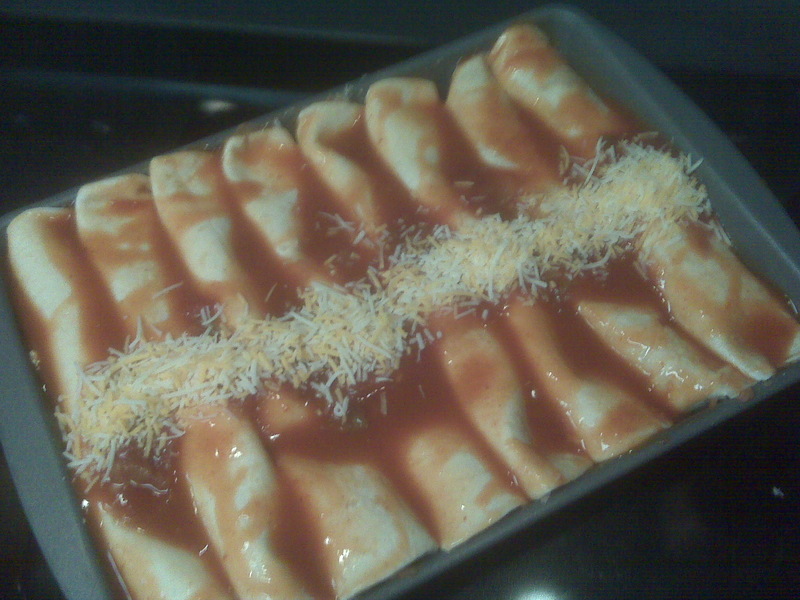 Looks like we're having "enchiladaritos" tonight. Yum! Looks delish. I definitely need to make these. this is my kinda meal! I love flexible recipes and Mexican hits the spot with warmer weather right around the corner for us- can't wait to try this soon! With the exception of the enchilada sauce, I have all of these in my kitchen - thanks for tomorrow's dinner recipe (and a few lunches).